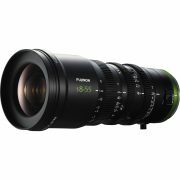 The Metabones Smart Adapter II allows use of Canon EF and EF-S mount lenses with Sony E-mount cameras, such as the Sony NEX-FS700. 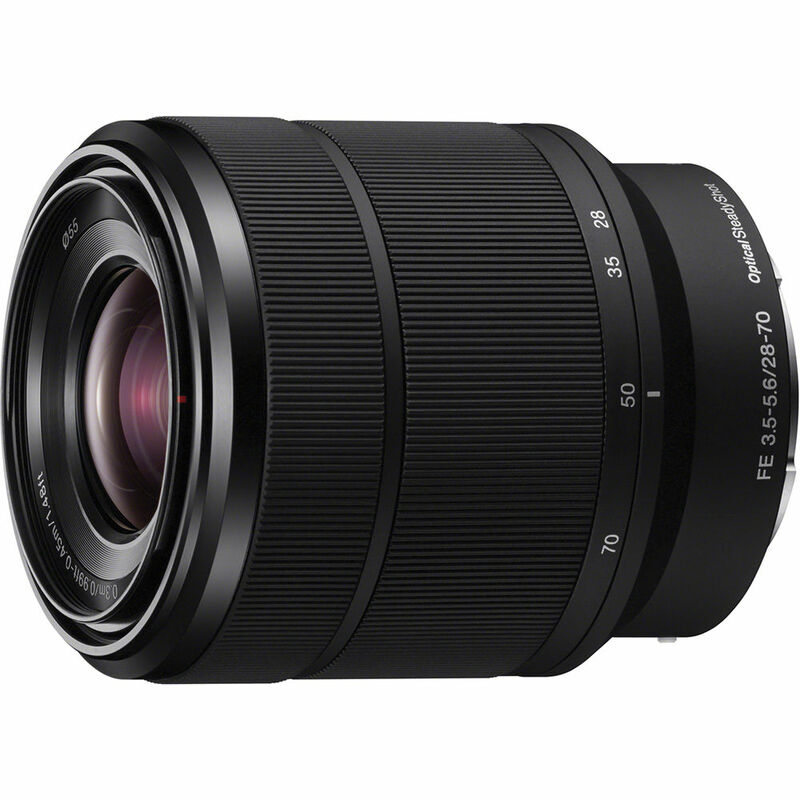 The updated Metabones Smart Adapter Version II refreshes its highly successful Smart Adapter (for mounting EF and EF-S mount lenses on Sony NEX E-mount cameras) with an improved design. 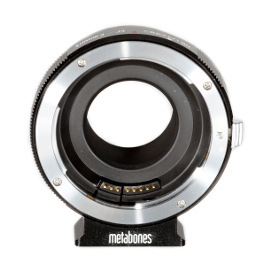 Among the new features of the Metabones Smart Adapter II are a detachable AS-style quick release plate, a round opening with proprietary anti-reflection measures and a new “Green Power-Save” mode that cuts down battery consumption by reducing aperture diaphragm and image stabilization actuation during image preview on the hired camera. 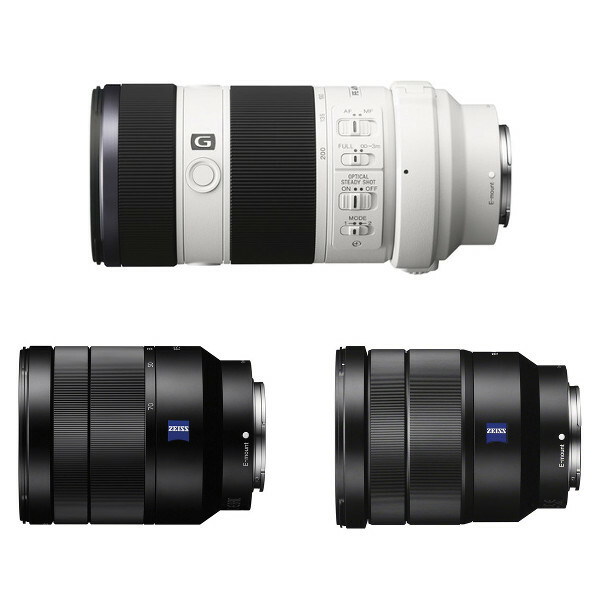 Heralded as the first electronic adapter available for hire to mount Canon EF and EF-S lenses on Sony NEX cameras with aperture control directly from the camera body. The Metabones Smart Adapter supports EXIF data and image stabilisation, and has become an indispensable tool for the most demanding cinematographers and other professionals. 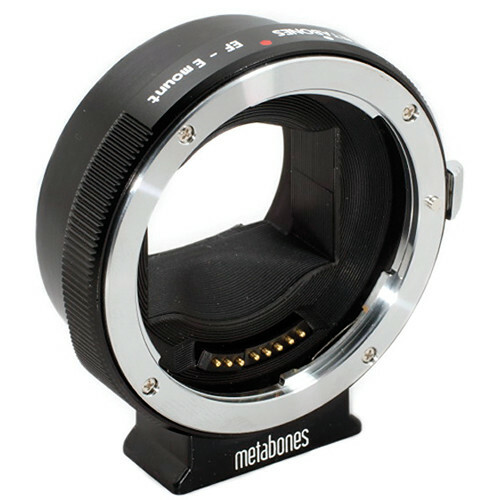 The Second Edition of the Metabones hire adapter adds numerous incremental refinements based on customer feedback.